For some of you, there are apples all over the place where you live and apple picking is not that much of a to-do. That’s not the case for me. I climbed up and picked the very first apple I’ve ever picked in my life today. My children and mom and I went to an apple farm about two hours away from our house and spent the day being touristy apple pickers. Despite the misty weather, it was delightful. That’s the risk you take when you try to prepare children for experience through books. And I’m okay with that. Sometimes, there are some differences between the book’s portrayal and what actually happens, but it seldom really bothers anyone. I try to find books for many different “firsts” in my children’s lives. For example, before Ella went to the dentist we read lots of going to the dentist books. 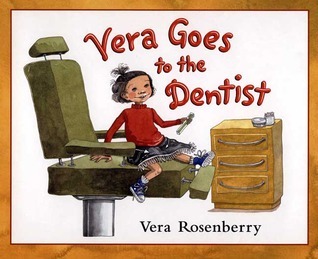 Our favorites were Just Going to the Dentist and Vera Goes to the Dentist. Most parents are familiar with the many books introducing children to the ideas of becoming an older sibling or starting to potty train. There are books about moving to a “big boy bed,” books about the first day of school, books about family members with illnesses, books about losing teeth, and on and on. I think if chosen wisely, books about new experiences are great starting points for preparing children for what’s ahead. In my experience, children become panicked when they realize they’re in a totally unfamiliar situation. Once they reach that stage, there’s little chance they’ll be interested in your explaining or using logic to help them cope. Even though you may arouse some fears before hand, I’d rather take that chance and have the opportunity to deal with the fears before the panic and feeling that they’ve been betrayed by those whom they trusts somehow sets in. So far, this has worked well for me, but all children are different. What’s your take on books and life changes? Do you use books to help navigate new experiences with your children? Share your thoughts in the comments! 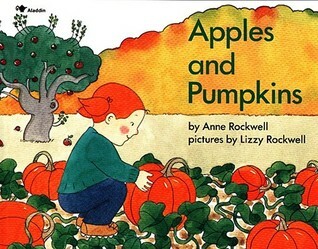 This is Day 14 in the 31 Days of Picture Book Series. To see the rest of the series, go here. Definitely! Books are a great way to “rehearse” for new situations in life — and not just with children! My go-to solution for new stages in life is to look for books on the topic. But for kids, one book I often give firstborns who are about to become siblings is A Baby Sister for Frances. I love all the Frances books, but that one really captures the feelings of the older sib! Another way I “rehearsed” my kids was to pretend at home. We gave pretend haircuts to teddy bears before going to the barber, for example, and played “worship” before church. Kids like to be ready for new experiences! That is such a good idea to pretend at home with bears or dolls! I’ve heard of a friend practicing church at home so her kids will get better at sitting still. Also, I love A Baby Sister For Frances, too! My parents gave me that book when I was 3 and expecting a little sibling.